Now, fresh coconuts coming direct from South Florida are available to the whole country Drink to your health! 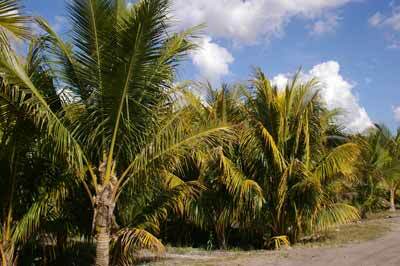 Located in South Florida, in our nursery of 40 acres of coconut palms we cultivate and distribute quality coconuts to a wide variety of customers all over the country. Our young organically grown coconuts are hand selected from our coconut palms, giving the customer the freshest and most delicious coconuts possible. 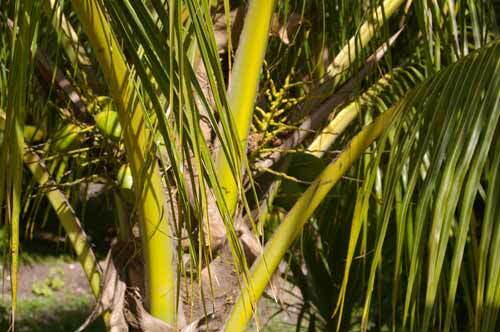 We also sell a variety of palm seedlings for you to start your own coconut trees. 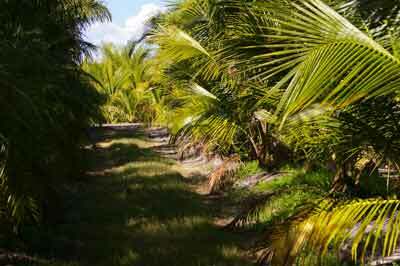 Our baby coconuts are $10.00 per foot. We deliver coconuts and coconut palm trees anywhere in the country via UPS. 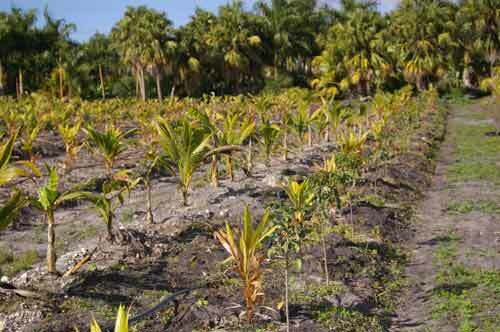 With more than 1 million coconuts produced per year, you are guaranteed fresh coconuts. We are a company concerned with your health and satisfaction. 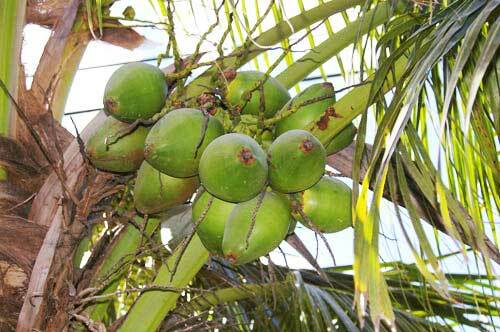 Our coconuts are carefully selected, so we can sell the best coconuts. 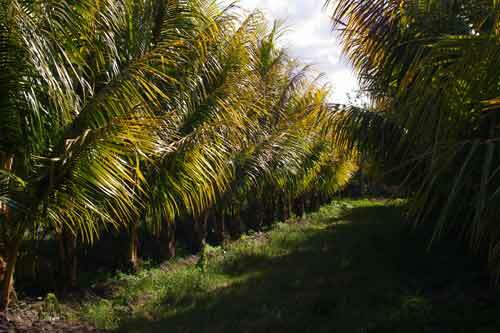 Our South Florida's tropical climate enables us to grow unique coconuts to ensure your satisfaction. Florida coconuts are great. Our competitors keep their coconuts on shipping containers for long periods of time before they are re-shipped to the end consumer, but ours come fresh off the tree and are shipped the same day. We use no fungicides, sprays, or irradiation. Your satisfaction is our mutual success for our growing business and your healthy diet of fresh coconuts. We all know that there are many benefits of coconut and coconut water. Many different cultures enjoy fresh coconuts every day. Coconuts are a good option for those who want to maintain a healthy life style. Thank you for choosing us as your coconut supplier. For more information on our delicious coconuts please contact us now.